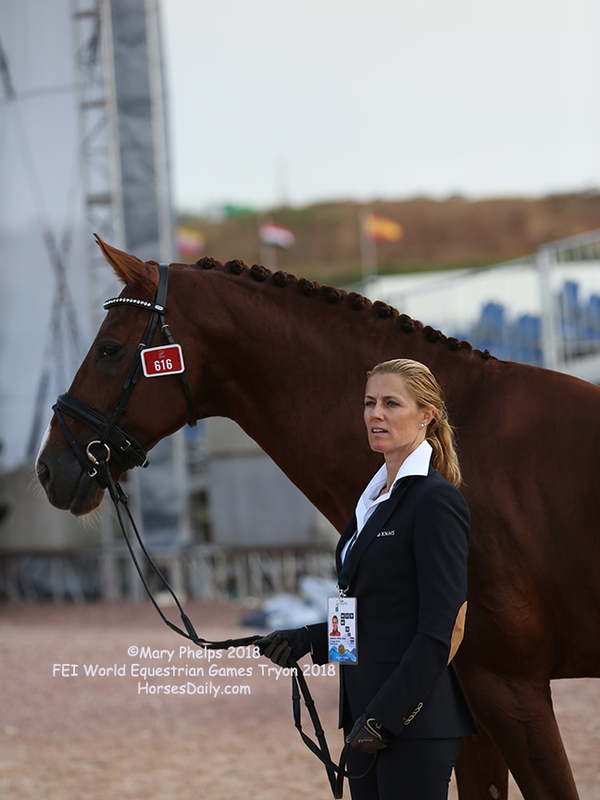 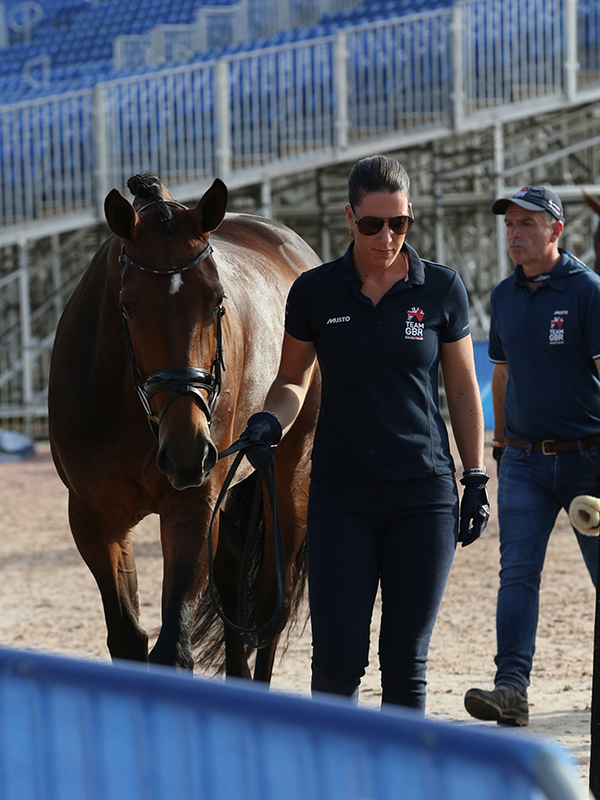 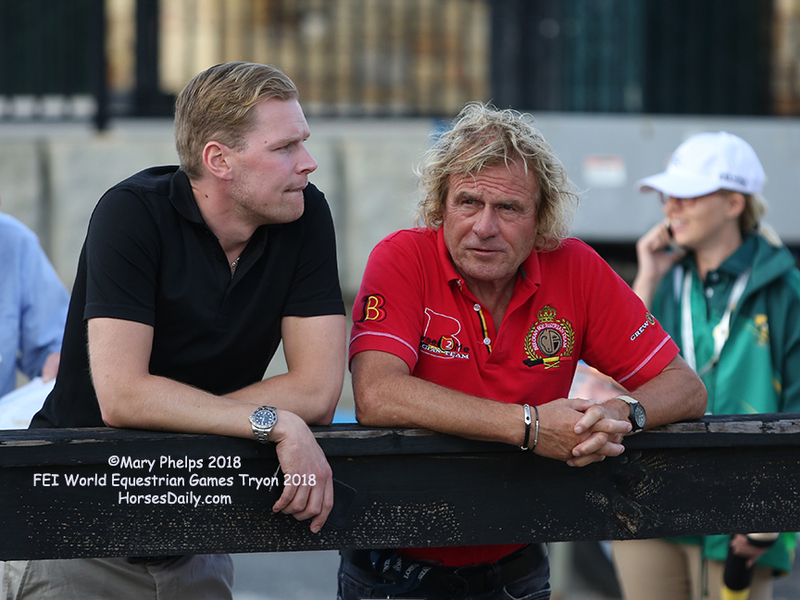 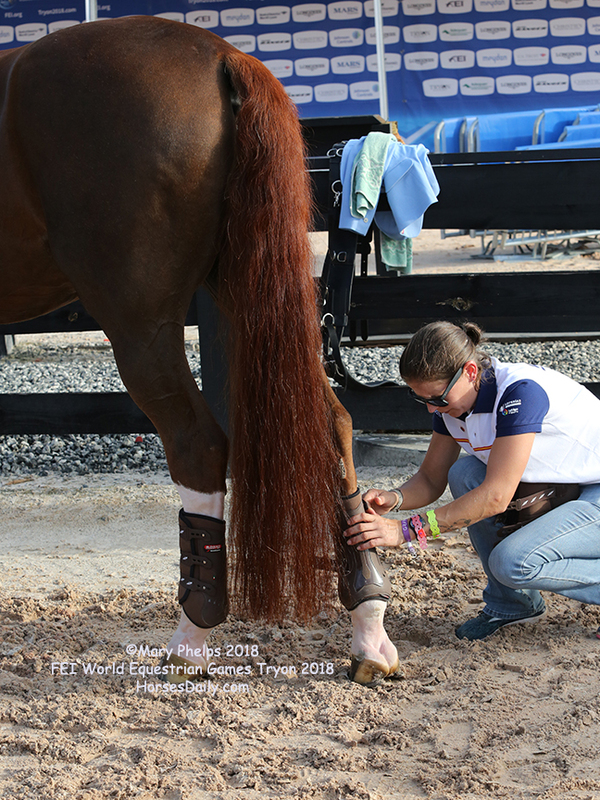 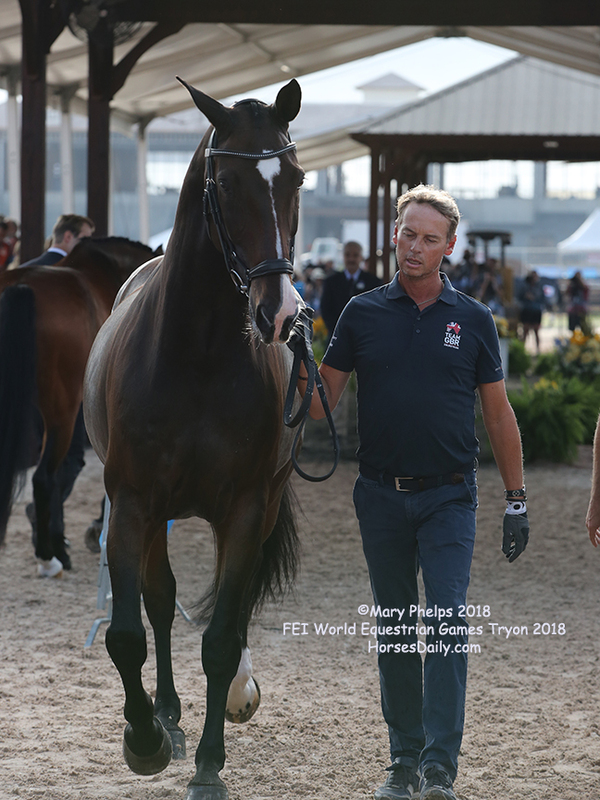 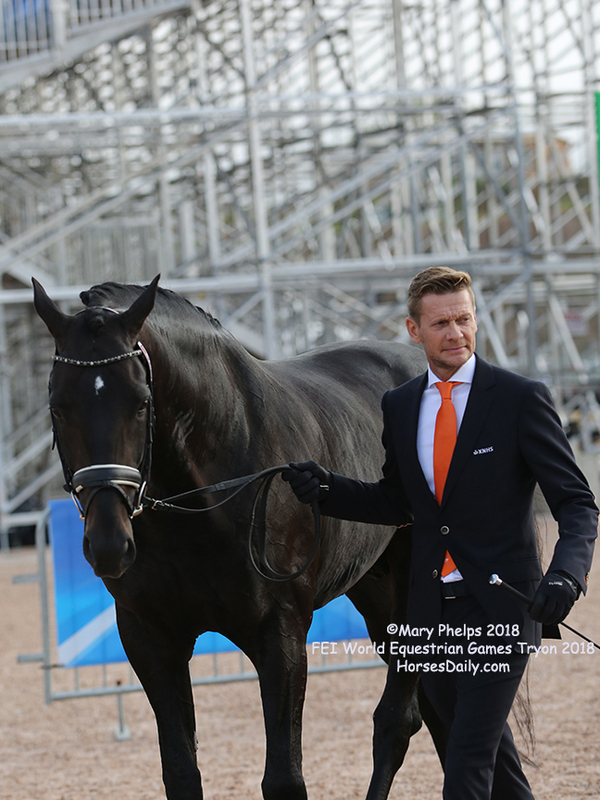 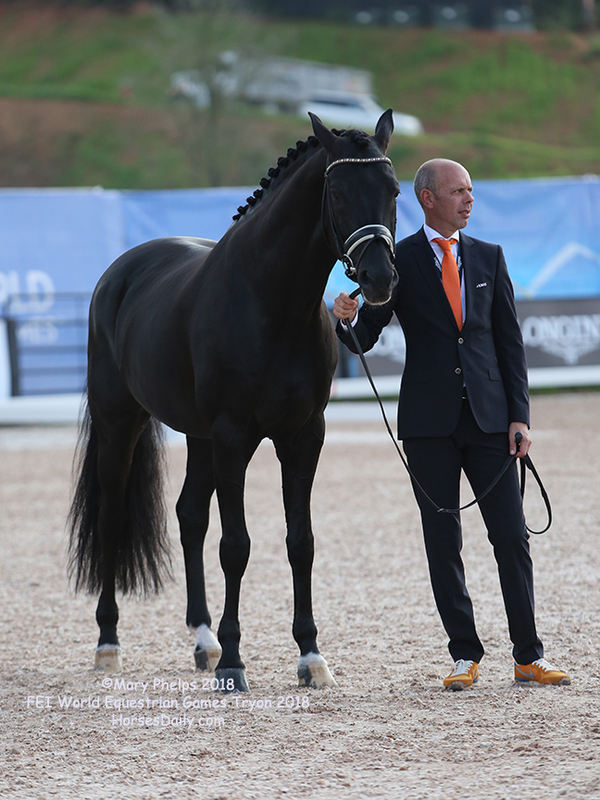 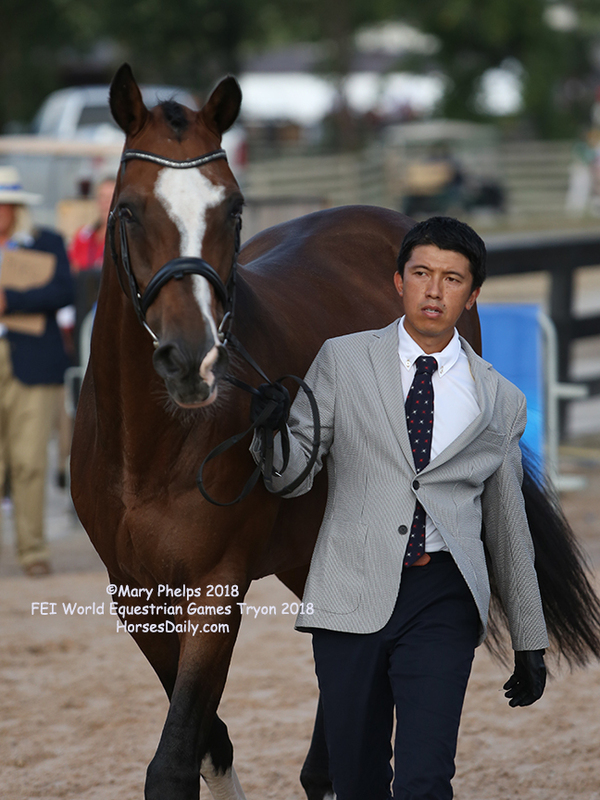 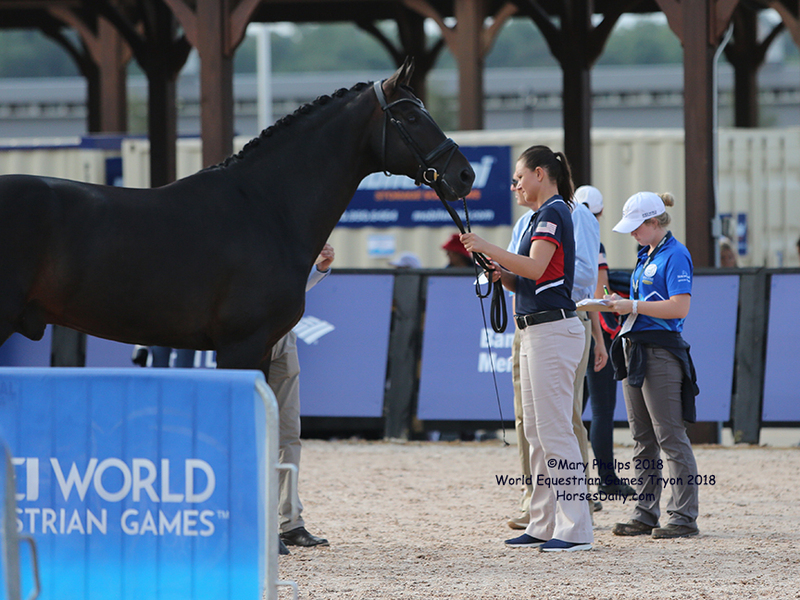 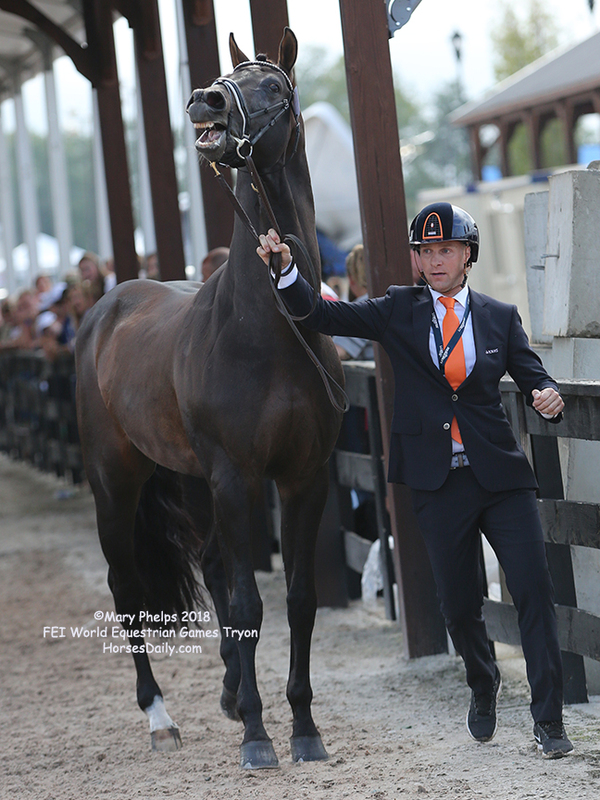 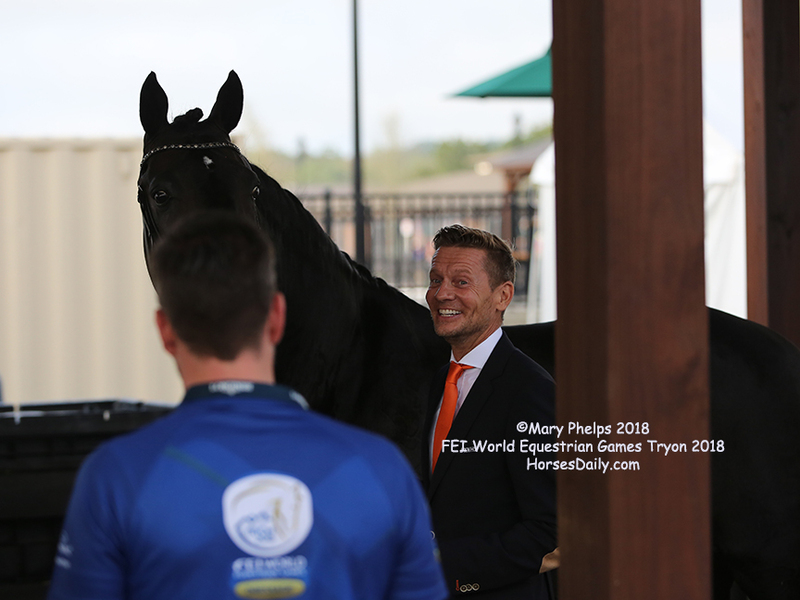 Sparkling horse and riders in team uniforms, as riders form around the world present their horses to the ground jury for the FEI World Equestrian Games Tryon 2018 Dressage. 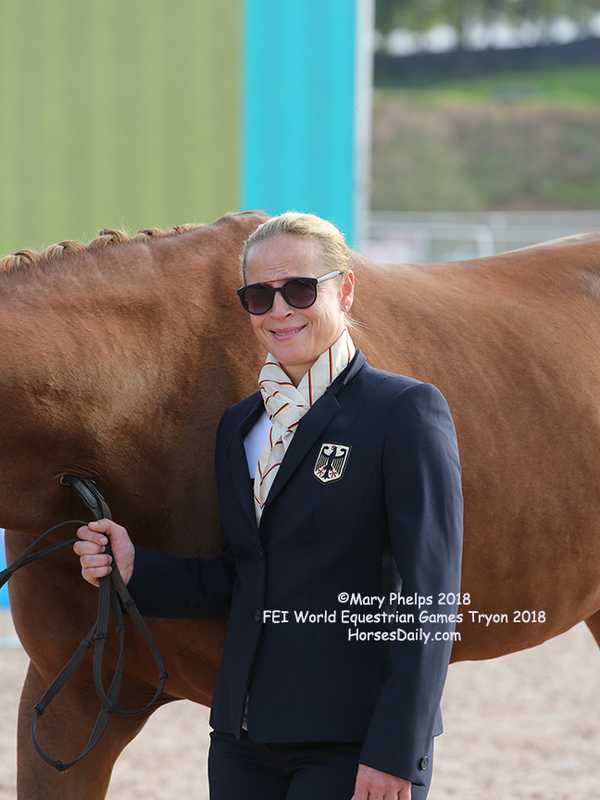 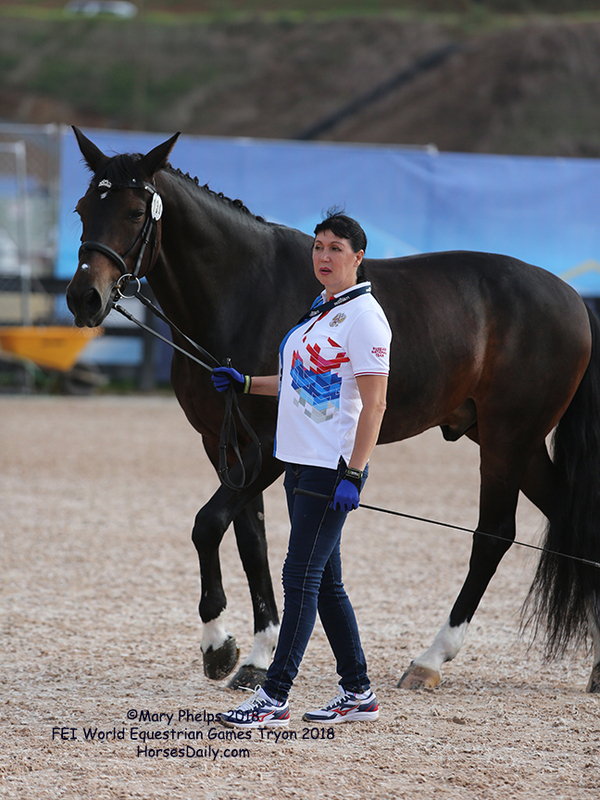 It will be a showdown between the American girl Laura Graves with her horse she rasied from a foal, the the German powerhouse Isabelle Werth who has a barn full of superbred Dressage stock she continues to bring to the top. 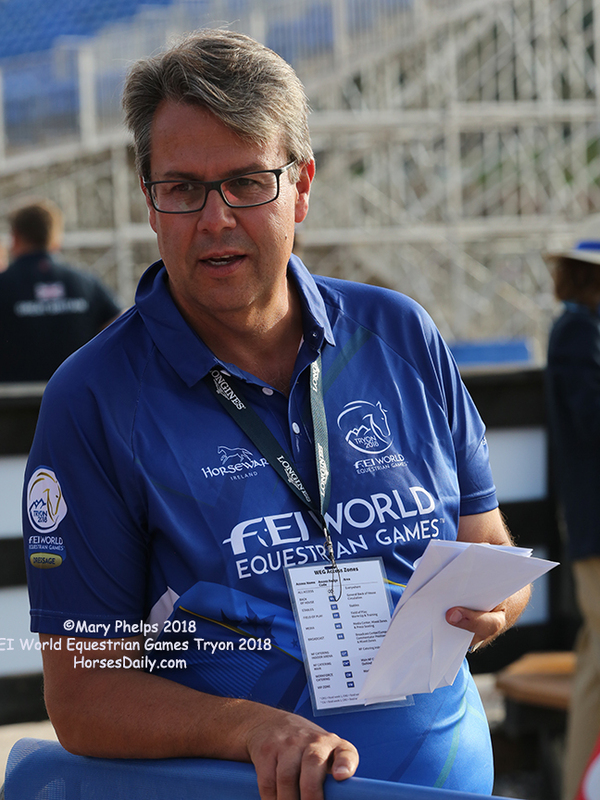 American co-coach Robert Dover retires in 5 days hoping to help USA earn more medals as he leaves the future in Debbie McDonald's capable hands. 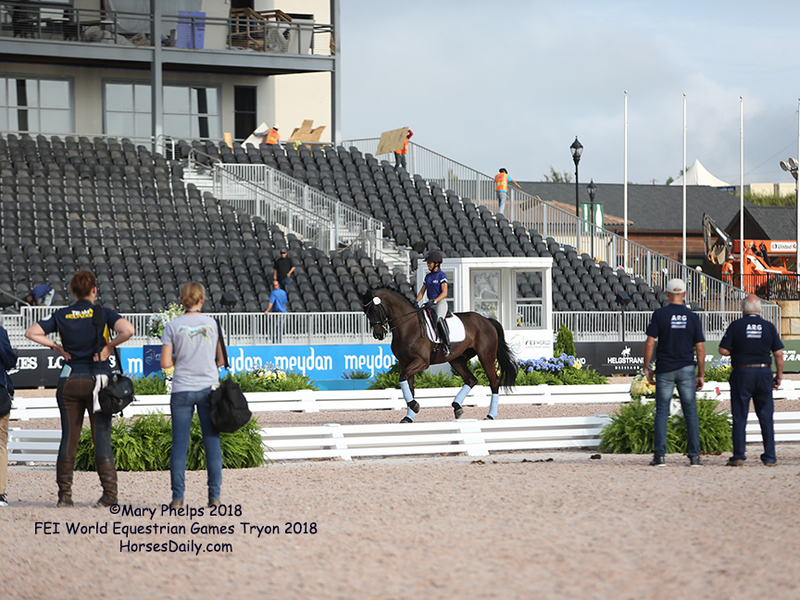 The press is settling into a still unfinished media center and construction continues everywhere. 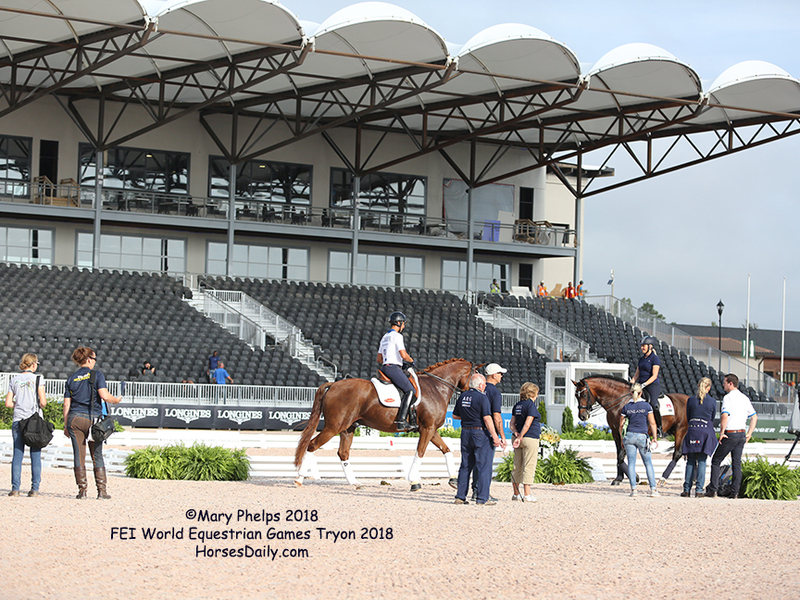 Endurance horses share cross roads with Dressage, and eventers familiarize themselves with the arena while awaiting the cross country course to open on Wednesday. 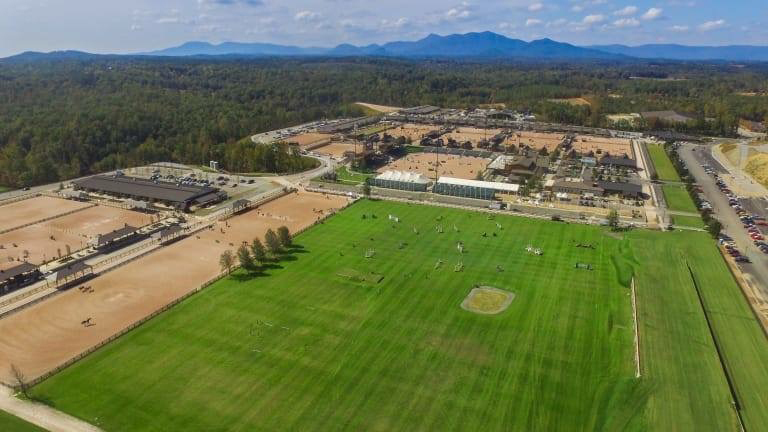 And then everyone awaits the impending Hurricane Florence due to hit the Carolina coast and move into the region by the weekend. 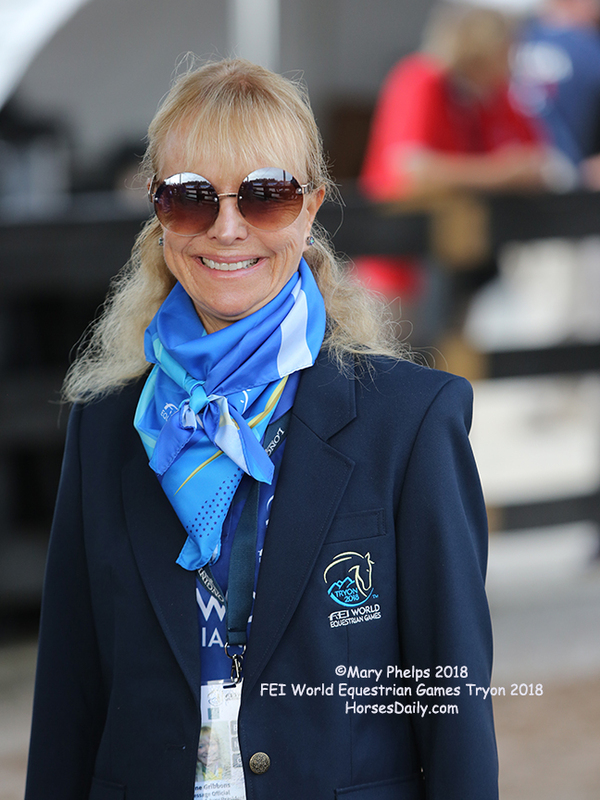 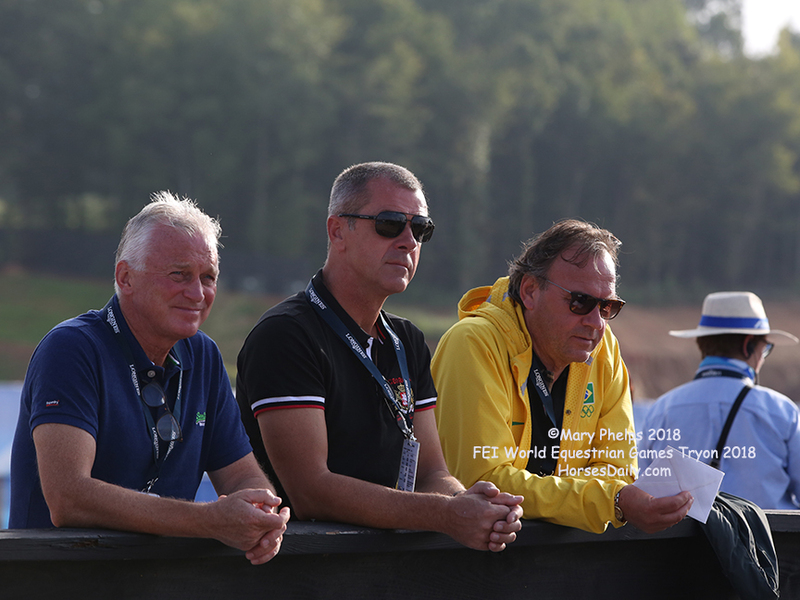 The Grand Prix for the Team and Individual Dressage Medals and placings for the best dressage riders and horses in the world will start the competion for the World Equestrian Games Tryon 2018.